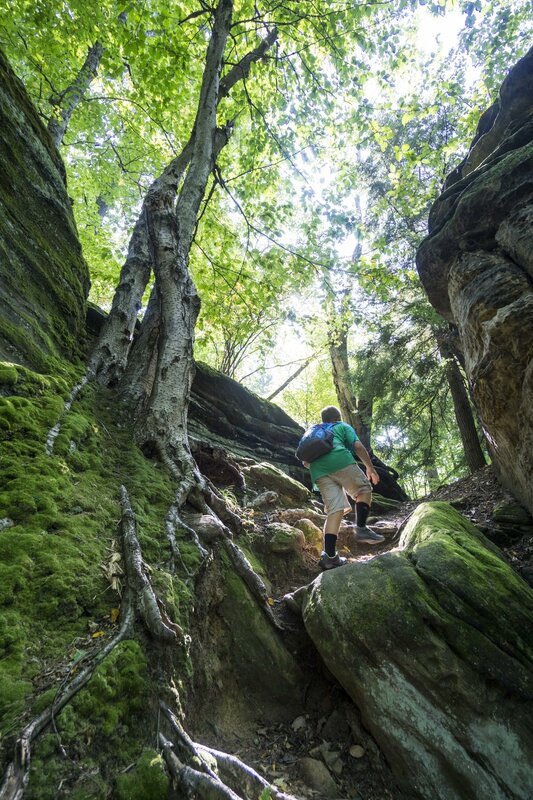 We love a great hike and enjoy all sorts of terrain. 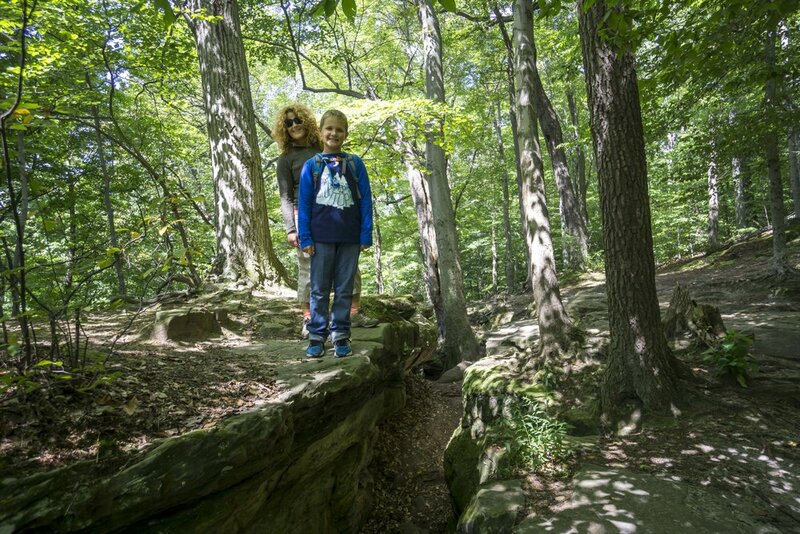 But lately we've been drawn to hikes by "ledges". The huge rock formations, different perspectives from high and low, and trail variety make hiking by ledges a totally unique experience. What follows are some gems that we just stumbled across and will visit again and again! 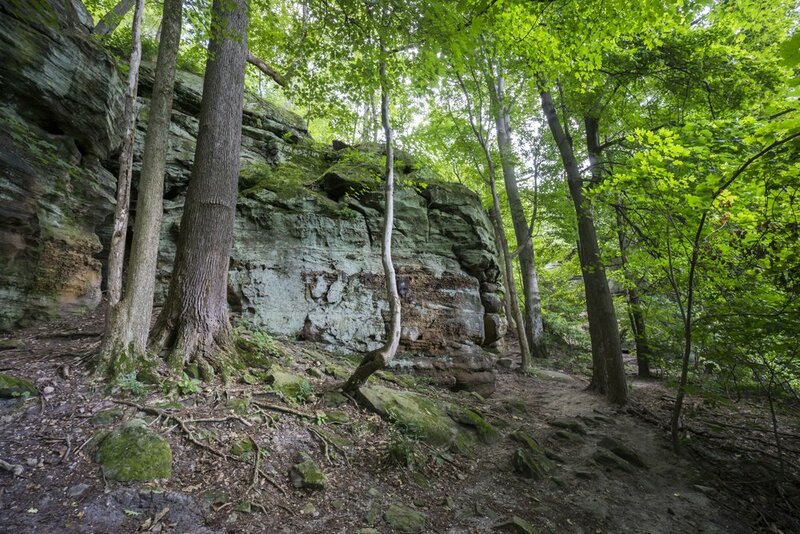 Whipp's Ledges is located in the Hinckley Reservation in Hinkley, OH. 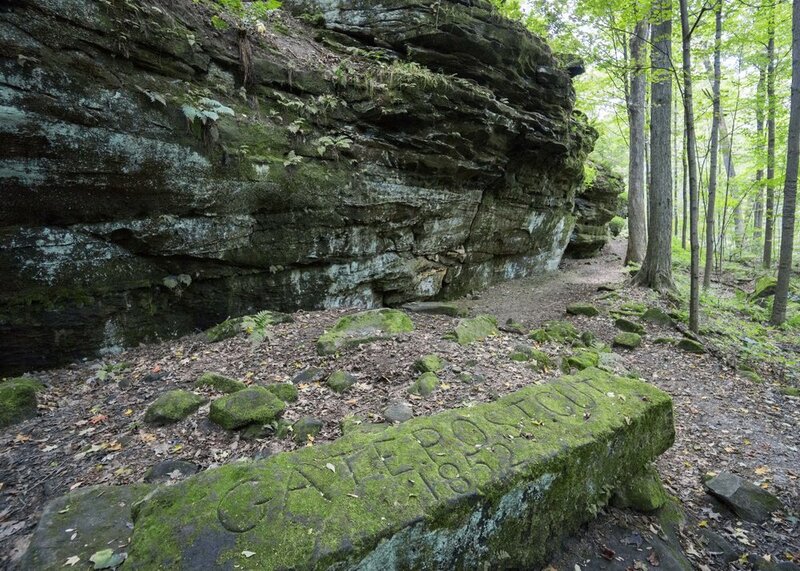 There's a 1.5 mile loop trail around the ledges, but there's no need to follow it. We spent hours going up and down rock formation and never got bored! Carrie and I got a great workout from all of the up and down hiking! Daniel loved all the variety and places to climb! Daniel showed off his new 4th grade science knowledge and told Todd and I about different layers of rock. 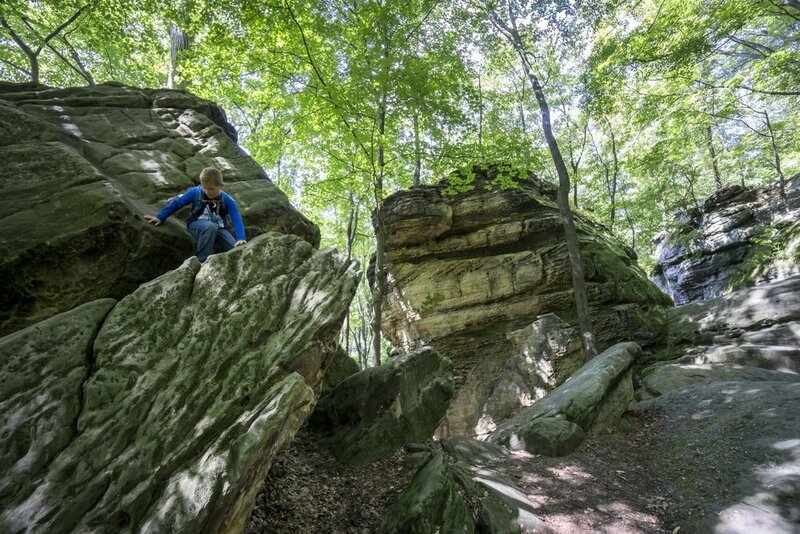 All kidding aside, ledges are great to show kids different rock layers and talk about how rocks form over may years. 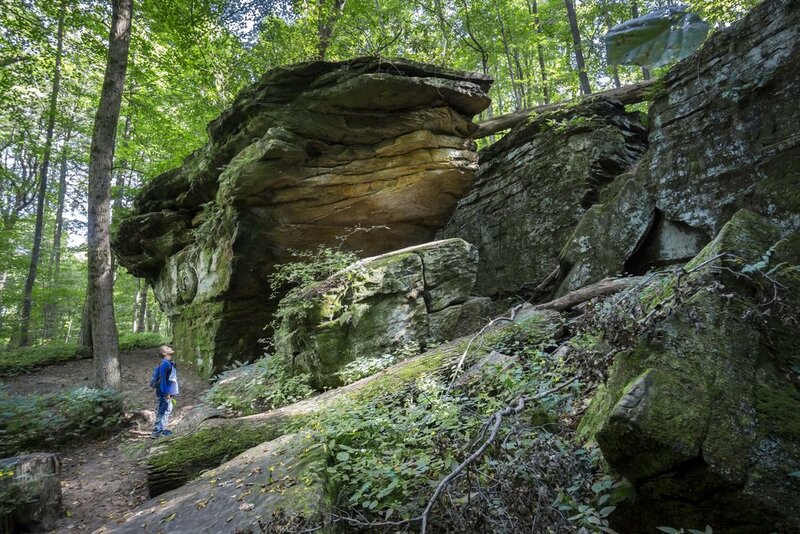 We highly recommend taking the 5-minute drive from Whipp's Ledges to check out Worden's Ledges. The trail is short, but very beautiful and interesting. 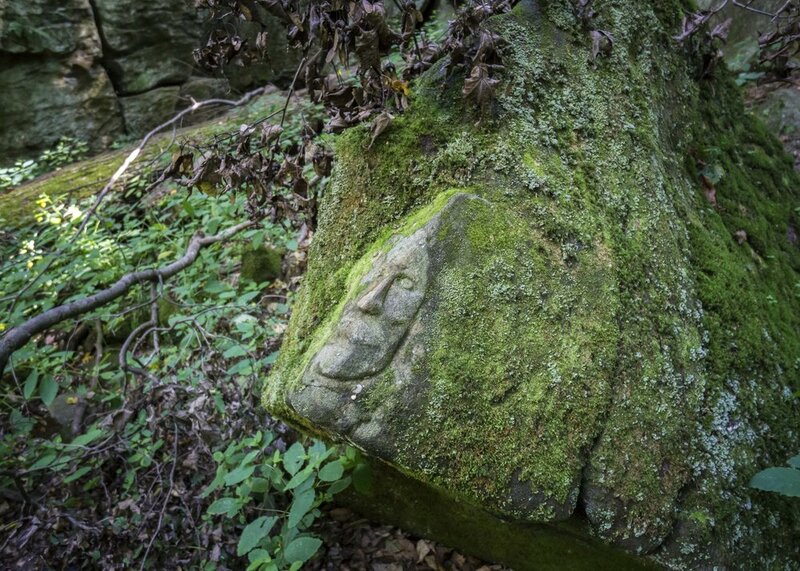 Back in the 1940's a rock carver, Noble Stuart, carved various faces and figures into the rocks. Most are still totally visible today. We had fun trying to find all of the carvings. 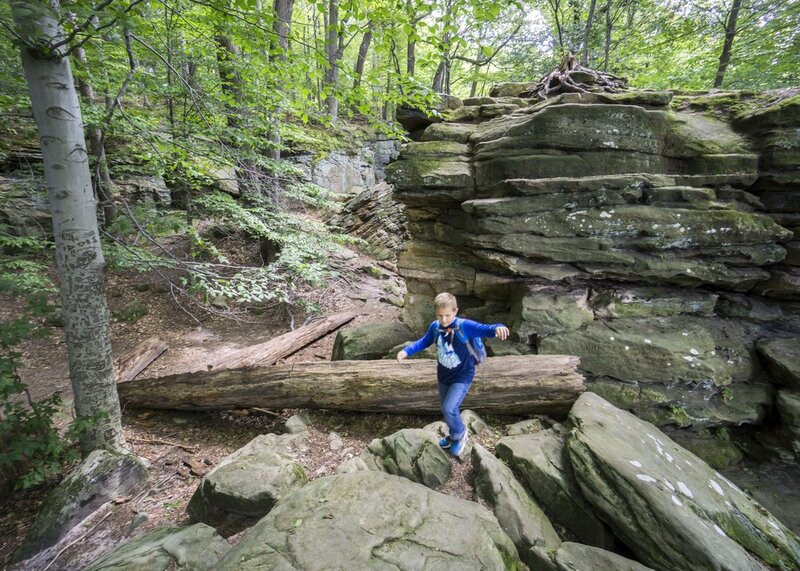 If you have younger kids this is a great ledge hike. 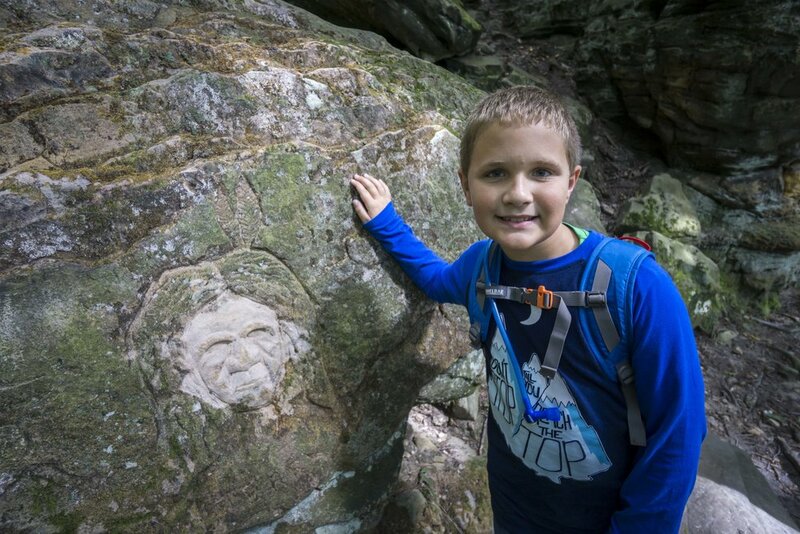 Finding the carvings will keep them engaged and the trail is on the ground, instead of up high on the rocks. 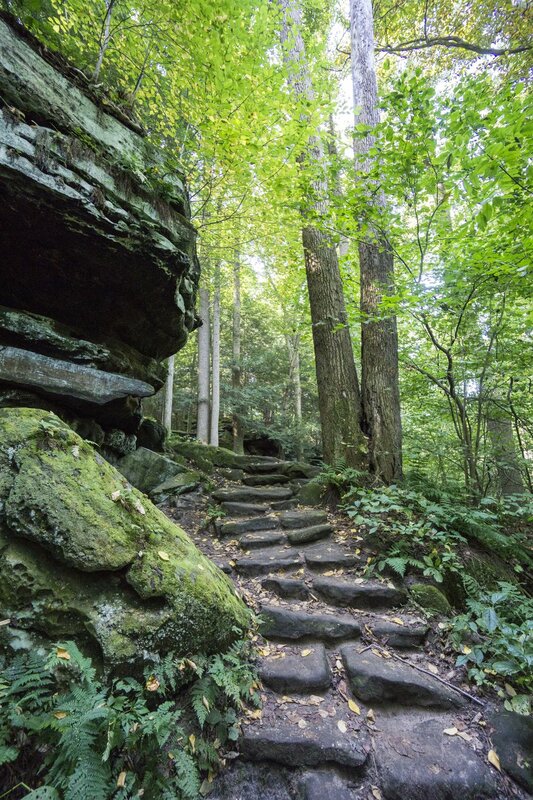 Ledges Trail is located in the Cuyahoga Valley National Park. The pictures speak for themselves!! 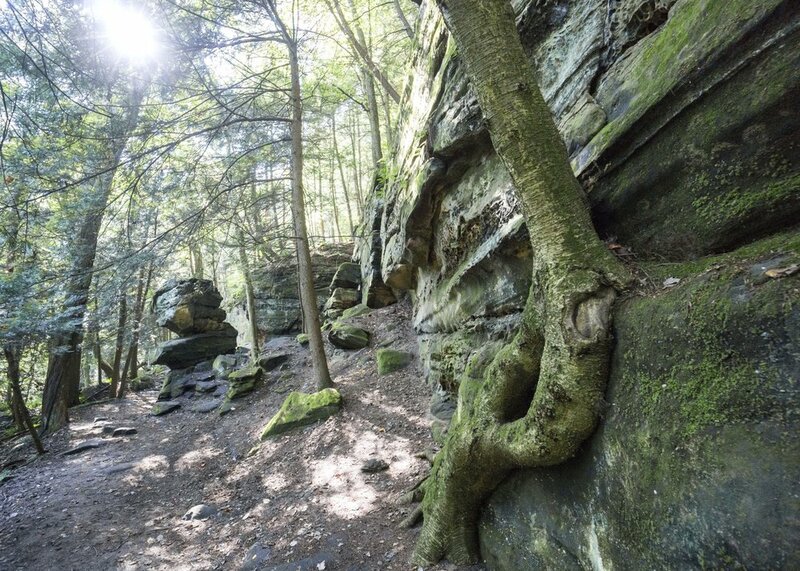 One of the most interesting parts of the Ledges Trail is seeing how huge rock formations split and have continued to move apart over time. 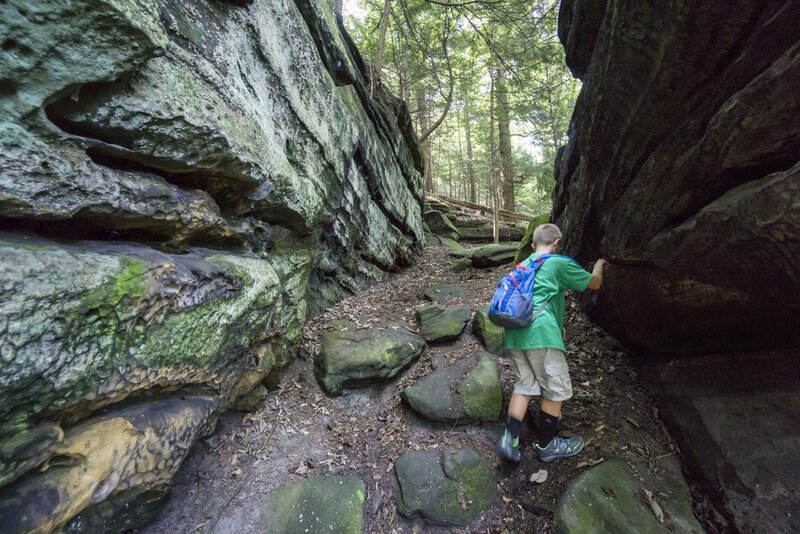 There are all kinds of little passageways to explore in between the rocks. 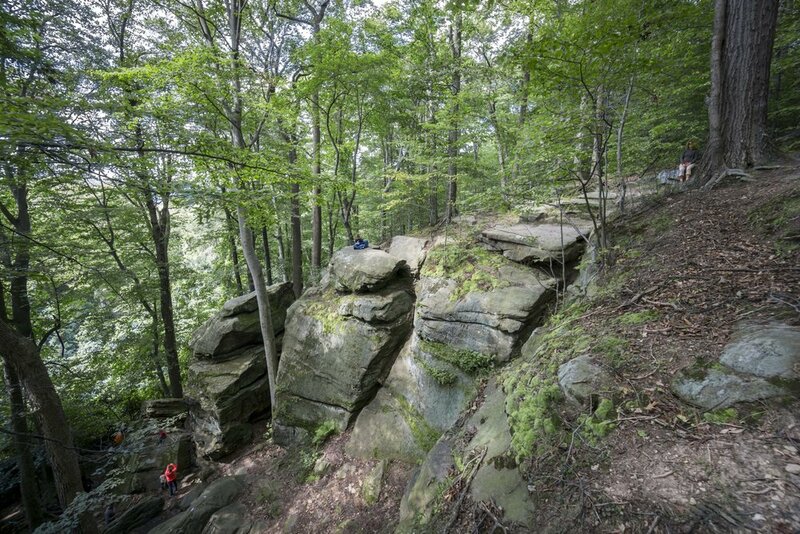 The rock formations are equally as awesome as Whipp's Ledges and the trail is a little more distinct and marked. There are all kinds of spots to stop for a break and enjoy the scenery! 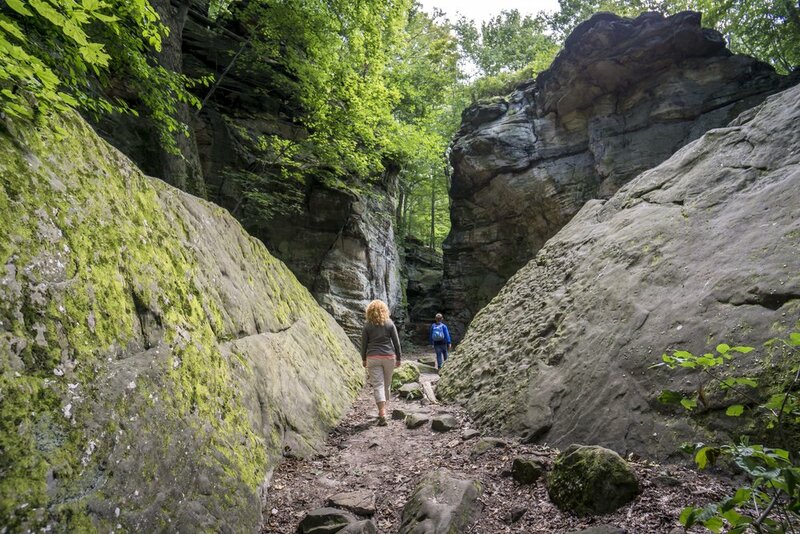 Before you leave, make sure you comment and let us know about your favorite ledge hike!